This "side trip" was suggest by a good friend and turned out to be one of great amazement at the terrain. Route 89A was much like the Blue Ridge Parkway, only on steroids! The 2 lane road wound down in elevation thru canyons, cliffs, parks and pull-offs ALL worthy of photographing. The route ended with a cherry topped treat ... Sedona. 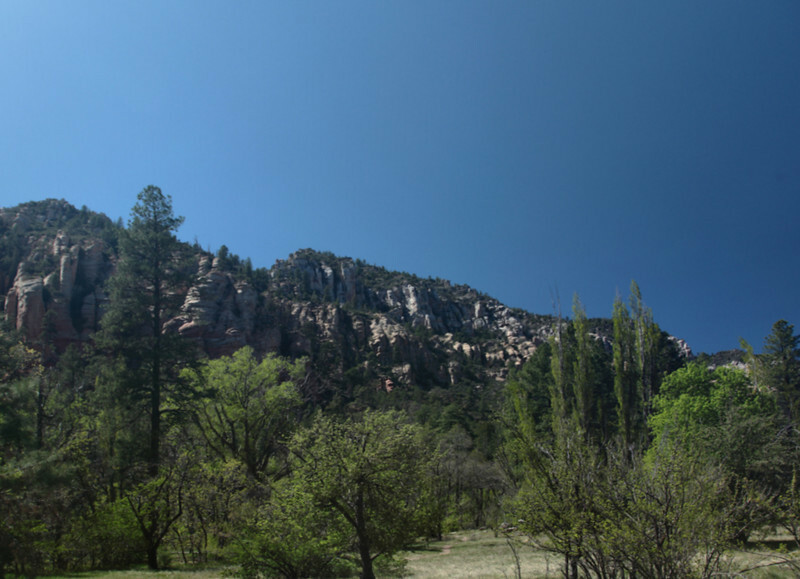 Sedona has and is in, a MOST picturesque setting. It's difficult for me to grasp that people actually live in all this beauty. Another place I'd like to spend more time in.